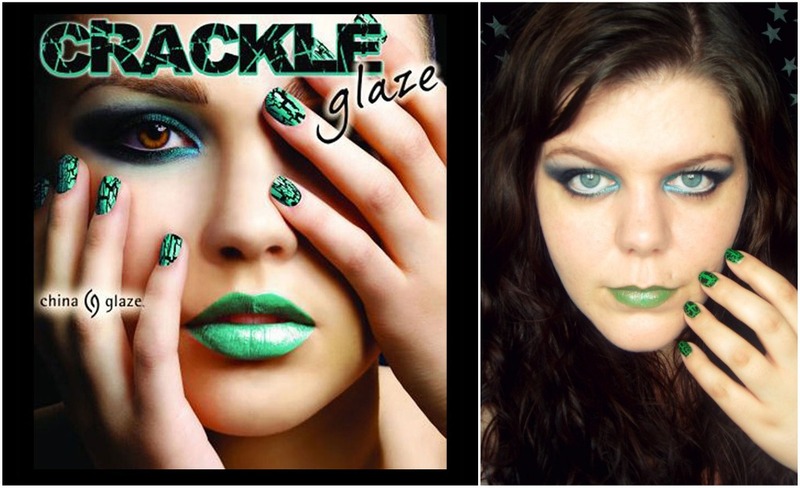 Sophsterlicious • UK Blog: - China Glaze Promo Inspired Look. So lately I've been getting a bit inspired by images of make up, and attempting to recreate them. It's fun to experiment and see what you can do. I came across the promo image for the China Glaze Crackle Polishes, which you can see here. I love the bright coloured smokey eye make up, and the nails .. the lips however, hmmm.. I was in two minds about those, but in the name of fun, here you go! Green lips. Yep. (Long silence) .. Needless to say, I can't pull them off like she can! I got the shade wrong too, but whatever! I would never have gone out with green lips anyway, They're not for me. 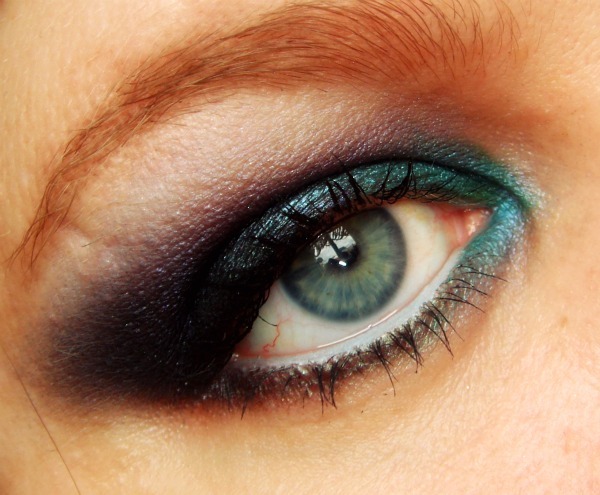 The rest of the look I love, the dramatic smokey eyes with green/turquoise are very me. 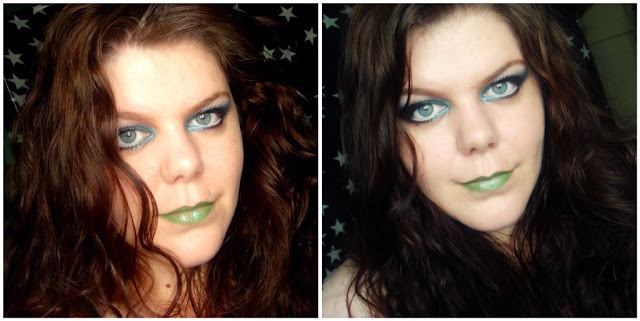 I used all colours from the Urban Decay Deluxe Palette for them, mainly the green, blue and black, with a hint of purple. And then..... I wiped off the lipstick, and took a more normal pic! Better, right? .. I think so! What do you think of this crazy look? .. You can see the nails I did for the look, here. LOVE that eye! I am going to bookmark this so I can recreate it later. :) Great job! wow! u did an awesome job with the eyes!!! it looks amazing! Lillian, I did think of you, and thought you may be someone who liked the green, I'm just not sure it suits me? !